Don't chase up late payments and overdue invoices; add bookitLive's online payments and streamline your processes. 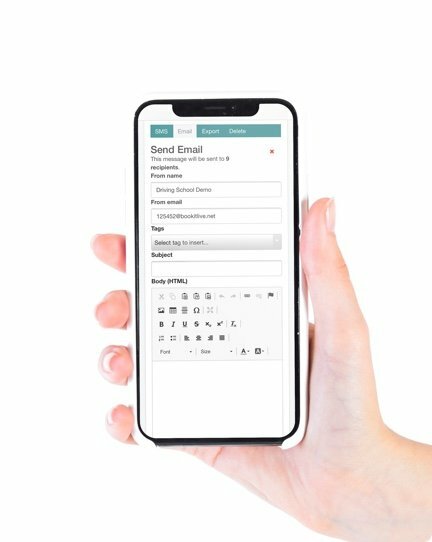 Our comprehensive booking software automatically send SMS and email notification 24 hours prior to the appointment time. Then, your customers’ information is stored in a secure database where you can use it to inform your sales and marketing decisions. It’s all part of bookitLive’s end-to-end promise. The power of bookitLive is that it gives you the freedom to select from a range of bespoke features. Choose one or many features that suit your business and discover how simplified bookings, secure online payment portals and simple-to-use databases can see your business soar.